Two strangers become brothers in their fight for survival when they are swept away by an unimagined zombie force into a time and place that they could have never anticipated or believed. Their struggle becomes a mission not only to return home but to right the wrongs they see. They witness the most horrendous battle in our history at Gettysburg and meet historical figures. Their faith in each other keeps them going when it appears all is lost. They face many obstacles on their way back to the mountain where they were cast into the past by the evils of Zombie Gold hoping they can return to the present. "Zombie Gold has something for everyone. Man eating zombies, a fortune in gold, Western lore, and the biggest battle in our nation's history, is all part of Chris and Will's journey into the past. The young men even meet some of their ancestors along the way, while dodging both Confederate and Union bullets. John L. Lansdale has stirred up a surprisingly hearty cowboy stew in Zombie Gold. It's ours for the tasting and it's a very satisfying meal. It's exciting, entertaining and educational. A fun ride." —Joan Hallmark, legendary TV personality, movie actress and author of Sound Bites. "Zombie Gold could be considered a work of horror, especially coming from Short, Scary Tales Publications. But upon closer examination, it is much more than that. This little novel packs in a solid dose of supernatural elements, legendary folklore, time traveling science fiction (or fantasy, depending on your perspective), and just enough historical fiction to bring it all together. 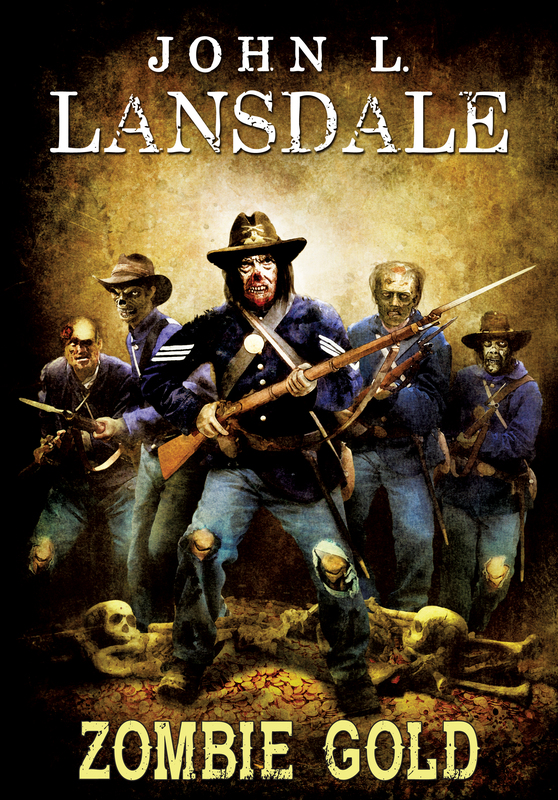 True to Lansdale tradition, John L. Lansdale has compiled a piece of work that should appeal to a wide range of readers." —Ricky L. Brown, Amazing Stories. "Zombie Gold is an entertaining, well paced science fiction-historical-horror blend with resourceful protagonists and a solid cast of secondary characters. While this will obviously appeal to fans of the weird western, Hell's Bounty that Lansdale co-wrote with his brother, bestselling author Joe R. Lansdale, fans of Jonathan Maberry should also give this a try."